Action A1 "Design of the integral digestate processing system" implies much coordination between the technical partners of the project, since in the next few months the installation of different technologies will be put together in the biogas plant at PURAL's facilities. In this regard, partners Bosman, Teqbio, Dorset and PURAL have been in close contact during the last few months to estblish the requirements to install and guarantee proper functioning of the new digestate processing system that will be later used to obtain both liquid and solid fertilizers. 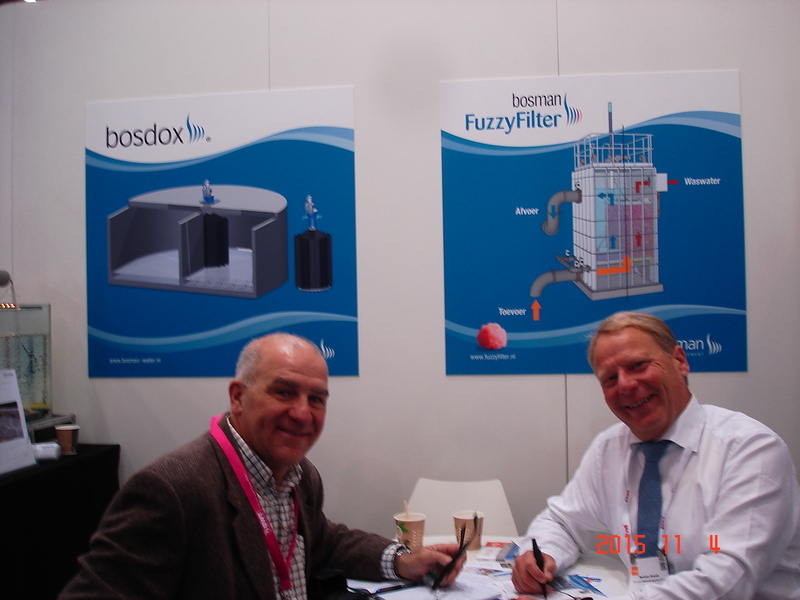 The first meeting took place on Nov. 3rd, since many partners were already in Amsterdam for the Aquatech fair. 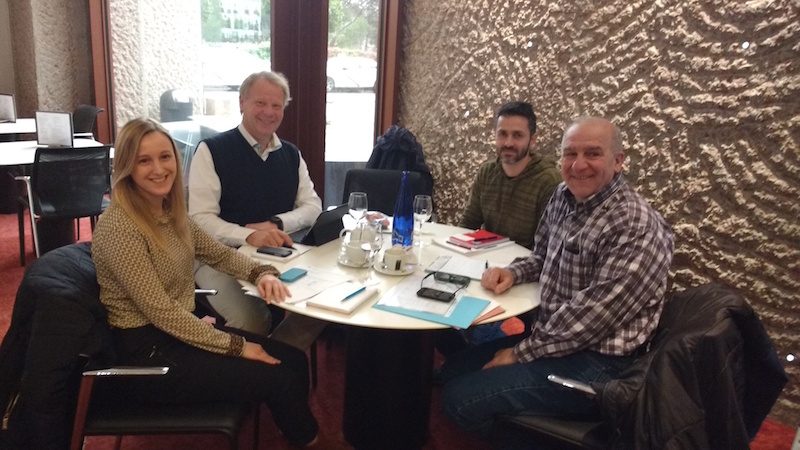 There, Luis Leyda from Teqbio and Bart-Jan Brandt of Bosman met to close on the final parameters, such as the level of suspended solids necessary to obtain an appropriate liquid fertilizer. Afterwards, they met again, this time with representatives of PURAL and Dorset (the latter by teleconference) to determine the details and further steps necessary to complete this first preparatory action and prepare its according report. Pictures of the meetings can be found below.